One of the quickest methods of getting traffic to you website is to use paid advertising, otherwise known as pay-er-click or PPC. You may already be familiar with different forms of this type of advertising. Some of the more popular platforms include Google Adwords, Facebook and Bing Ads. 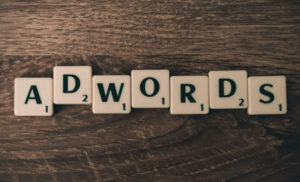 But before you venture into the world of paid advertising, it is good to have at least a basic understanding of what PPC is and how it works. This will save you money andhelp you to properly direct your marketing dollars. 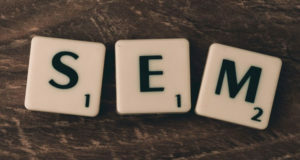 PPC or pay-per-click, also known as SEM or Search Engine Marketing, is an internet marketing model where the person advertising pays a fee every time someone clicks on their ad. Essentially, you are buying visits to your site. This method is in direct contrast to SEO Marketing, which means your website is listed at the top of the “organic listings” on the search engines. Every time someone clicks on your ad and is sent to your website, you have to pay a fee. 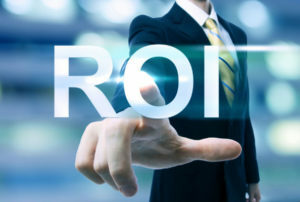 If you PPC campaigns are structured correctly, this fee is just a trifle in comparison to the ROI. Creating an effective PPC campaign takes a bit of work. There is keyword research, creation of ad groups, creating and split testing landing pages just to name a few. The better targeted and optimized your campaigns, the less you ultimately pay per click. There are some distinct benefits for using PPC as part of your overall marketing strategy. Measurable & Trackable – One of the major benefits of running PPC campaigns is the fact that you are able to measure and track your success. 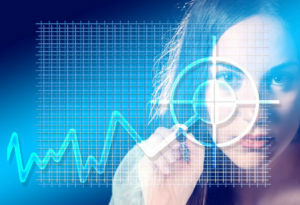 Each advertising platform provides advertisers with analytics to garner a multitude of data which allows you to better target your campaigns, resulting in a lower PPC as well as increased success. Control – The advertiser is in almost complete control of the campaign. While it is true that there are guidelines and rules for advertising on each platform, if an advertiser remains “within the lines” you can have great success and control of most everything else. For example, you choose the keywords to target, budgets, bids, start and end dates and whether to scale up or scale back depending on your results. Targeting – Most advertising platforms provide advertiser with an incredible array of audience targeting options. These options range from the type of ads, their placement and how to decide who to display them to. If you are looking to get visitors to your website, make PPC Marketing part of your online marketing strategy. Start Your PPC Campaign NOW!